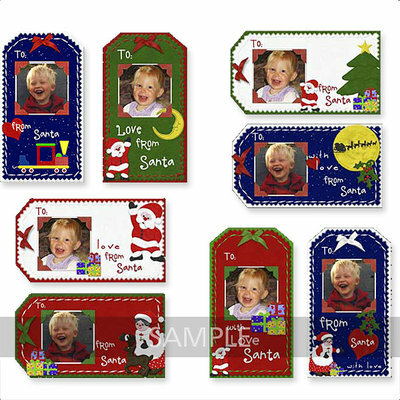 Make your Santa gifts very personal & particular fun - simply insert a photo of your child into these delightful "plopper" tags, print, trim and affix to gifts from Santa! I have made it very easy for you - no punching or ties required, a cute bow does the job, trimming is easy, no curves, just easy straight lines. 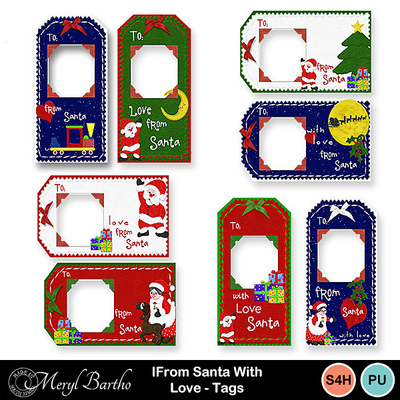 Then..... after gift giving, enjoy using the tags creatively on your Christmas pages!